It’s no secret, I am a little hair obsessed. Braids, buns, curls- I love it all– thankfully, so does my daughter. So when I’m not playing and experimenting on my own locks, she lets me play hairstylist with hers. Hair Bow Buns are all over lately– especially if your browsing Pinterest! 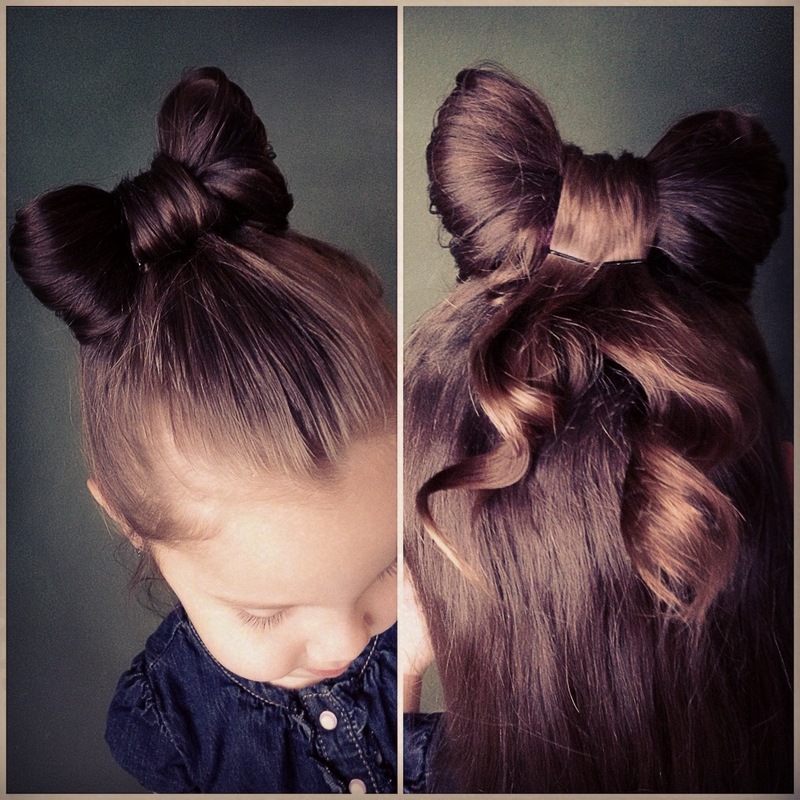 I think it’s a super cute hair style for little girls. So, a few weeks ago Laina and I gave it a whirl and not only did it turn out adorable, it was surprisingly easy. If you’re tired of ordinary ponytails and looking for a fun and easy way to style your little girl’s hair, this is a great style to try out. I’m confident that even the most “hair challenged mom” could pull this off. I mean it! Give it a try. Below is a step by step tutorial. Make a tight pony. Do not pull through the last loop of hair completely. It should look like a bun with a strip of excess hair face-forward. Secure strip with bobby pin. Take the excess hair and smooth with gel. Wrap hair ends around and tuck under the hair bow with bobby pins. Left Over Candy Cane Pie– Don’t worry, it’s skinny! this is just super adorable! I actually go to school with Delaina and she is just the custest! last week when we were taking our buddies to church, Delaina was doing a bun on herself and it was breathtaking! the fact that she knows how to do one on herself and that I didn’t learn how to do a simple bun on myself until like a month ago was just astonishing, and that’s that I’m in the eighth grade! she is incredibly talented and sweet and you must be very proud because you are raising your children so well so congratulations to you for being a great mother! i can’t wait until our field trip to the soup kitchen with her and her classmates! great blog by the way I love it!